1632 John 4 BIGELOW, son of Liutenant John 3( Joshua2, John1), and Hannah ______ , was born 25 Mar 1709 in Colchester, New London,CT. Married (1) 23 Oct 1736 Anna BATE, bapt 29 July 1716 in Colchester?, New London,CT, daughter of James & Anna (TILLOTSON) BORDON. She died 2 Sep 1737, leaving 1 son John born 2 Sep 1737. 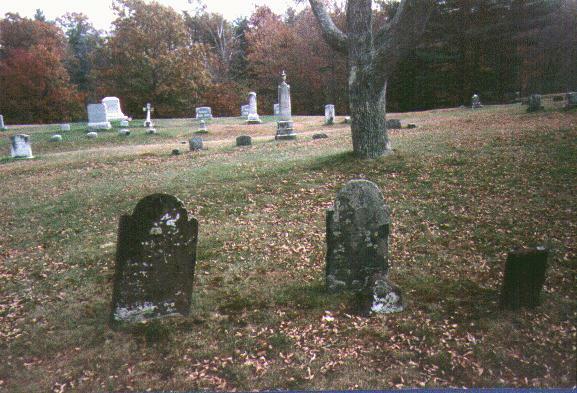 John 4 married (2) 2 Feb 1738, Sarah Bate, sister of his first wife, She was born 9 Apr 1711 Haddam,CT. They lived in Cochester where they both died, he on 17 Jan 1789, she on ? Feb 1796. John drew up his will 22 Jun 1787, mentioned his wife Sarah, son John, daughters Sarah BIGELOW, Anna BIGELOW, Lydia HUNGERFORD, and daughter Mary (Mercy). No mention was made of daughters Aimee and Hannah. Administration of the estate of Sarah Bigelow, widow of John, was granted 12 Apr 1796 to Capt. Zechariah HUNGERFORD, Mercy wife of Joseph ARNOLD, Anne and Sarah BIGELOW, and heirs of Ephraim BIGELOW (deceased). Again, no mention of Aimee and Hannah, leading to the assumption they died unmarried before the parents' deaths. 16321 John 5, b 2 Sep 1737; d 24 Feb 1812 Colchester; m 10 July 1759 Hannah DOUGLASS; res Colchester. 12 children. 16323 Aimee, twin of Anna, b 13 Nov 1738. 16324 Ephraim, b 21 Aug 1740; d 24 Sep 1775 Colchester; m 23 Feb 1769 Mary WATERS; res Colchester. 2 children. 16325 Lydia, b 31 Aug 1743; d ____ ; m 10 Jan 1764 Capt. Zechariah HUNGERFORD, b 20 Mar 1741, d 1 Nov 1816; he served in Revolutionary War. 16326 Hannah, b 31 Oct 1747; presumed deceased while young and unmarried; Howe says married to Elijah STAPLES jr, but will of Ezra Bigelow--16314 clearly names his daughter as wife of Elijah STAPLES jr.
16327 Mercy, b10 Dec 1749; d 23 Dec 1803 East Haddam, CT; m Joseph ARNOLD, his second wife. 16328 Sarah, b 10 Oct 1751; living in 1796 at settlement of estate; unmarried.